Hey! Hope you're all having an awesome bank holiday weekend (Well those in the UK anyways!) 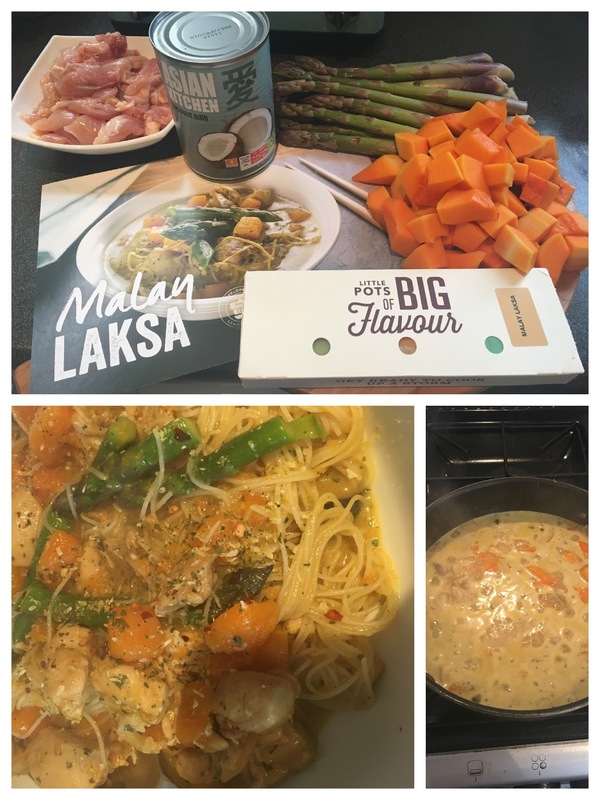 So today's post is all about food (my favourite thing), I've noticed a real surge in recipe boxes and kits hitting the internet and have always been a little weary of them; as someone who cooks everything from scratch, I kind of though it was a bit lazy to order in boxes of food, but then I was introduced to Simply Cook, which is a little bit of a different concept from your average recipe box. 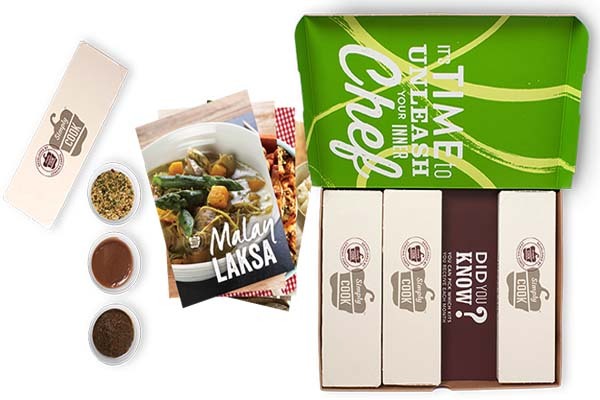 Simply Cook boxes contain four sets of spices and flavour combos with accompanying recipe cards that enable you to add your own ingredients in to make a delicious meal. I think what I love about it is that all too often I'll want to try a new recipe that requires a spice or flavour that I don't have, so I have to buy a massive jar of it, and then it stays in my cupboard and I don't get round to using it again. With Simply Cook, there's enough to make the meal and you're done! I've tried out a few of my recipes now, but I've documented my two faves so far which are so delicious I actually can't stop thinking about them. 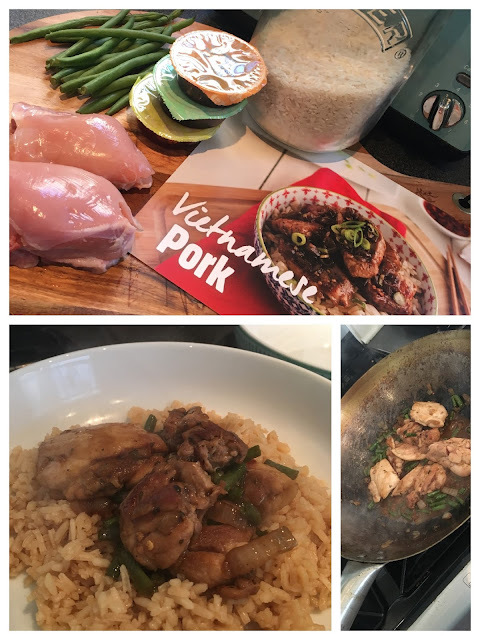 The Vietnamese pork was my first effort, as you can see I substituted the pork for chicken as I didn't have any and I'm not a huge fan of pork. That's what's great about these packs, you can add in or takeaway bits you're not too keen on. Now I know it doesn't look like the tastiest of dishes (down to my presentation skills) but my goodness it was so delicious. The second dish I tried was the Malay Laksa, which was so good it has haunted my dreams ever since. Seriously. I was really scared I'd hate it because I don't like coconut milk but OH. MY. GOD. It was so ridiculous. In general, the recipe cards are easy to follow and come with hints and tips about changing out ingredients or how you can use smaller quantities of the spices if you want to reduce the heat of the dish for example. I am absolutely loving the Simply Cook range, it pushes me to try flavours and dishes I wouldn't usually try. It's all too easy to get into a cooking rut, making the same dishes week in, week out. I am definitely hooked, my only suggestion is that they make bigger packs of the spices for dishes you've fallen in love with *cough, Malay Laksa, Cough*.